When testing your APIs, web service or other system parts, you might need to record or retrieve data from a database. The purpose of this interaction is to check the correct record of specific data in the DB or to prepare test data for the tests by adding specific records to the database. This article will show you how to check, update, and add entries to your database by using Apache JMeter™. Based on these examples, each tester can then perform the appropriate interaction with the database, during their further testing. In this blog post we will use JMeter 3.2, the database MySQL 5.7.18 Community Edition (which is free and can be installed on your PC) and Java8. 1. Download the Connector/J 5.1.42 driver available from this link. 2. Enter the downloaded archive. Note: the driver Connector/J 5.1.42 is used only for connection to the MySQL database. 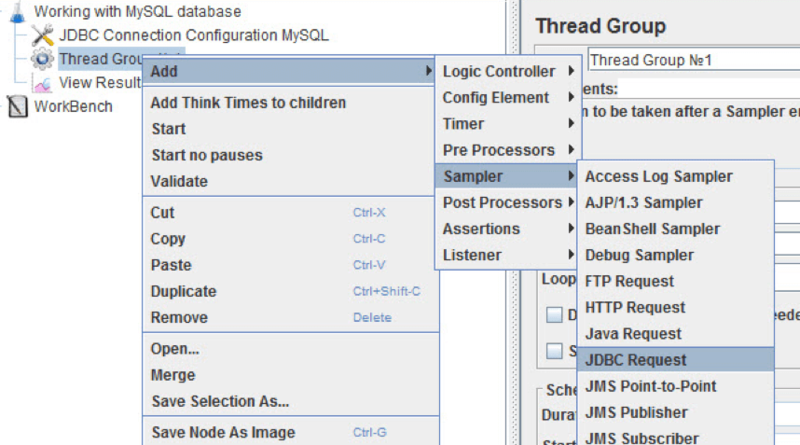 The JDBC Connection Configuration is used to configure JMeter connections to the database. 5. Fill in the Variable Name field. 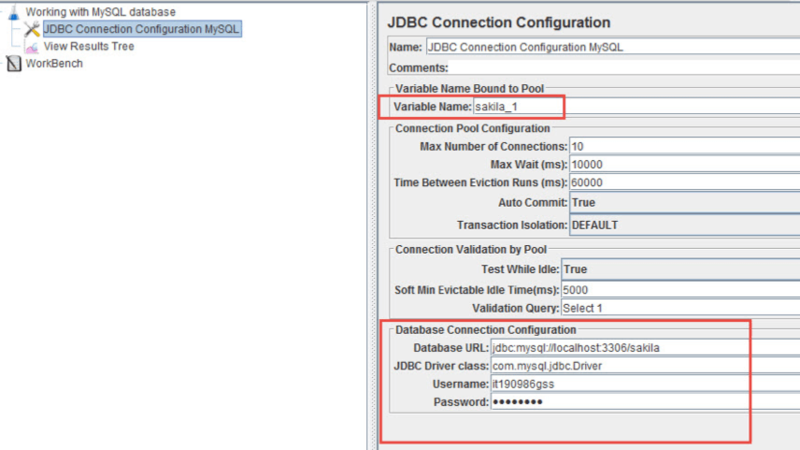 The value of this field is used to associate a specific connection configuration (JDBC Connection Configuration) to the database and a specific request (JDBC Request) sent by JMeter. 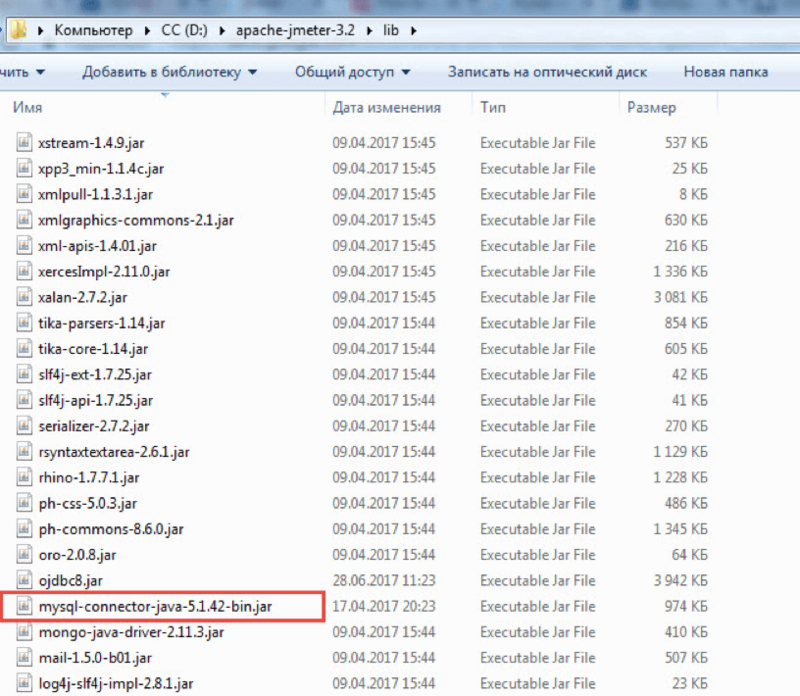 The rest of the fields can remain as set by default in JMeter. 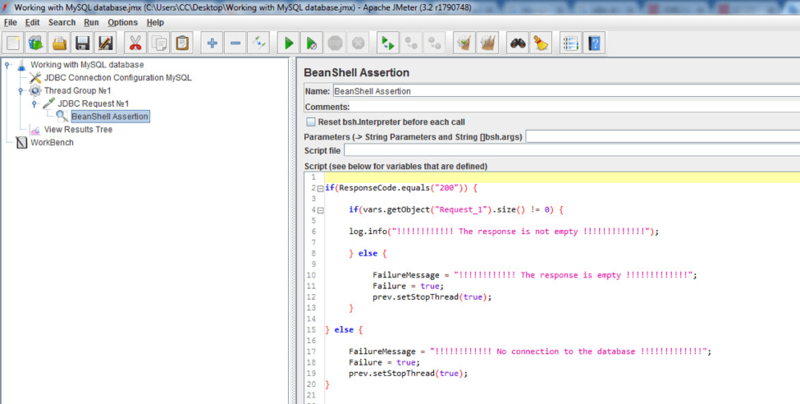 After adding an element, leave all the parameters filled by default (as JMeter itself provides). 8. Add a JDBC Request as a child element to the Thread Group. The request will allow sending requests to the DB. Fill in the Variable Name field. 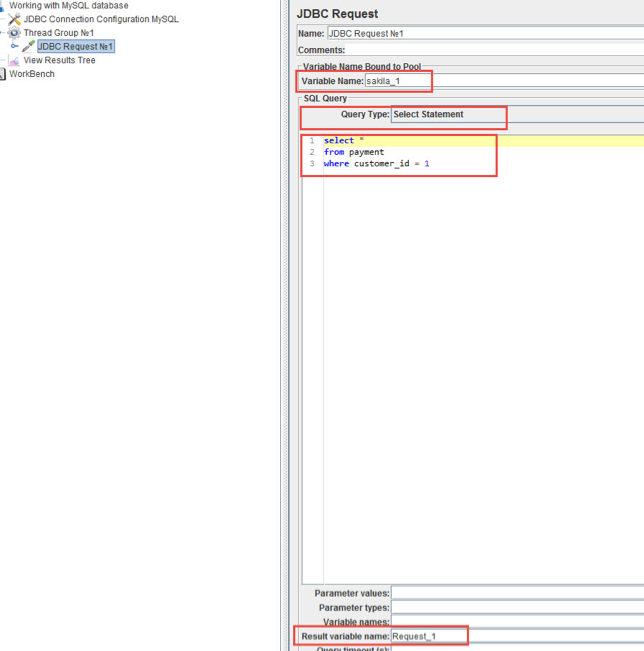 I filled in “JDBC Request No. 1” because it is a meaningful name to the request installed by the JDBC Connection Configuration. Set the variable name in the Result variable name field. This variable will store all fields and field values received from the database. The name of this variable must be unique within the Thread Group. If the name of this variable is used in several requests to the database (JDBC Request), then it will store the fields and field values received from the last query. 10. Add a View Results Tree Listener and run the test. The item View Results Tree Listener allows you to see the sent requests and received responses as shown in the picture below. Note: Database requests can be built according to SQL language syntax, which supports a particular database. JMeter does not impose any restrictions on their design. In most of the cases when working with a DB, data receiving is complete with respect to the given conditions. If the data corresponding to the request exists in the database, we will get the results. Sometimes there are cases when the connection to the database is temporarily unavailable, the IP address has been changed, or some other reasons have arisen, as a result of which there was no response from the database. As a result, in the above code, errors occur during execution, although there is no error data when there is a connection to the database. To exclude such moments, you can add a connection test to the database and, in the absence of this connection, correctly display the error message. That’s it! 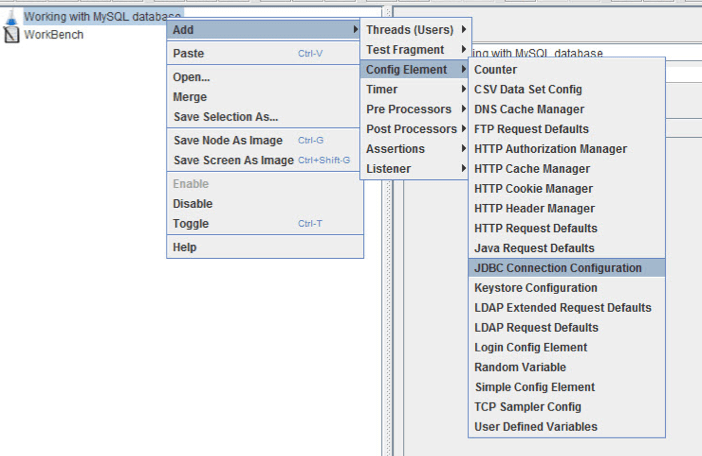 You now know how to create and assert a basic DB configuration with JMeter. Stay tuned for part two, where we will learn how to perform advanced manipulations on variables and on responses, as well as how to perform advanced query types. To learn more JMeter, sign up to our free JMeter academy. To try out BlazeMeter, which enhances JMeter features, request a demo or put your URL or JMX file in the box below and your test will start in minutes.